The Enneagram is a development of modern psychology with deep roots in spiritual wisdom. It is a pyscho-spiritual tool to help you increase your self-knowledge and uncover your true self or essential nature. The Enneagram is a system of understanding personality that teaches emotional intelligence and helps us expand our relationship skills. It is a map that describes nine different personality types and it improves our understanding of ourselves and others by describing specific patterns of thought, emotion, attention and behavior. The Enneagram explains the internal structure and underlying motivation, the core beliefs and fears, which drive each of the personality types. Finding your personality type is a fascinating journey of self-discovery which can be helpful in every area of your life. Working with the Enneagram helps individuals to develop greater self-awareness and self-acceptance. It is a powerful method to help people learn and grow and it can make a positive impact on a person’s relationships, both personal and professional. 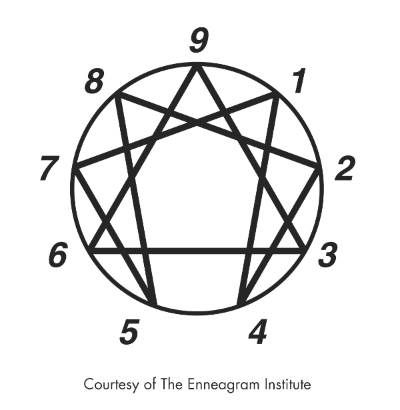 Reaching farther and deeper than mere personality tests, the Enneagram is a useful tool that is being used in coaching, psychotherapy, spiritual direction and business. Discover your Enneagram type and how to use this amazing tool on your journey through working with Bev individually, or taking a class or workshop. Bev and her colleague Martha Middleton are trained Enneagram teachers and consultants, who have been teaching Enneagram classes for 20 years. They have studied with the leading experts in the Enneagram world (Russ Hudson, Don Riso, Helen Palmer, David Daniels, Richard Rohr, and Roxanne Howe-Murphy) and love to share their passion for this transformational system. Level II: A Deeper Understanding Of The Nine Personality Types. Understanding the personality types can quickly reduce emotional reactivity and help find ways to balance your needs with others' desires. Deep Living: Transforming your relationships to everything that matters. If you are interested in planning a class or workshop specifically designed for your organization or group, Bev would love to discuss your interests and program possibilities by connecting here.